We believe that the bible is the inspired Word of God, which gives an accurate account of the creation of heaven, earth and humanity. Moreover, there is no salvation outside of what is written in its pages. He is the Father in the creation of heaven and earth, He is the Son in the redemption of all our sins and He is the Holy Ghost (His indwelling Spirit) in the present-day church. Water baptism by immersion in the name of the Lord Jesus Christ, which is an essential part of salvation (John 3:4, Galatians 3:27). 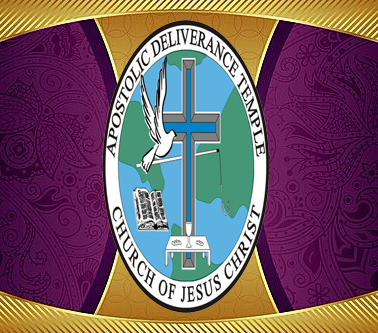 The reception of the Holy Ghost by every believer with the initial sign of speaking with other tongues as the spirit gives utterance (Acts 2:4). Live a holy life, in which, without holiness, no one shall see the Lord (Hebrews 12:14). He will come for a holy people (His Bride/Church) who have received Him through His blood, the water and His Spirit. The second coming of Jesus Christ, in which, the Lord himself shall descend from heaven with a shout, with the voice of an archangel and with the trump of God: the dead in Christ shall arise first, then we which are alive and remain shall be caught up together with them in the clouds, to meet the Lord in the air, and so shall we ever be with the Lord (1 Thessalonians 4:16-17).